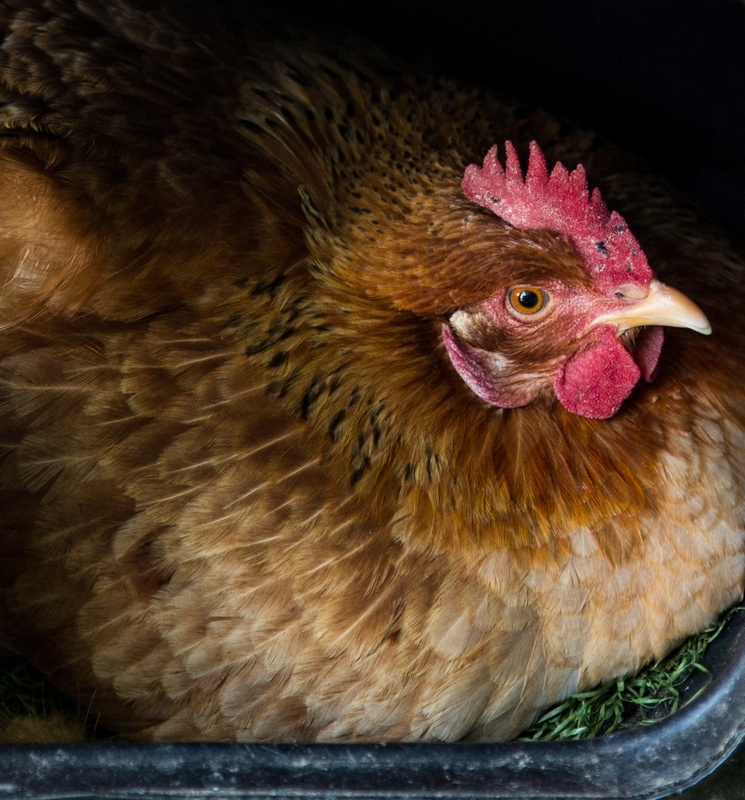 A hen's body creates a protective layer over the shell of an egg right before she lays it. This is called the “bloom”, which seals the shell pores and protects from bacteria entry. 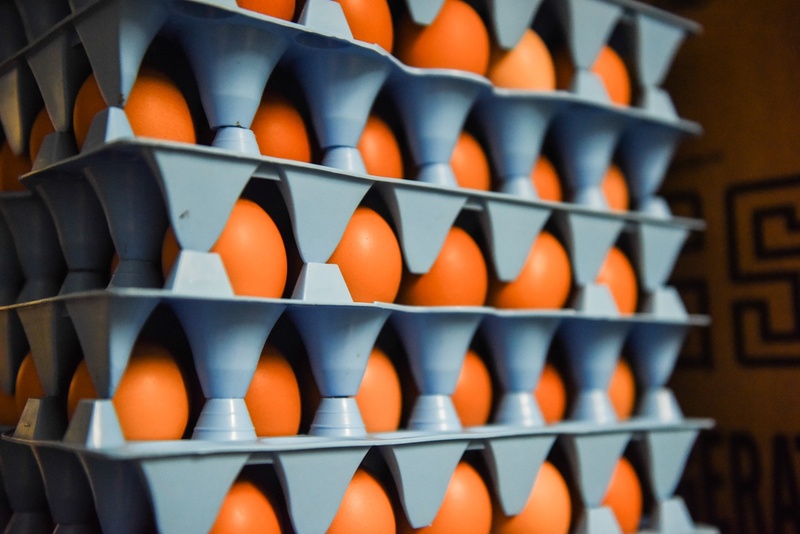 When eggs are washed, the "bloom" is removed which decreases shelf life and requires refrigeration. 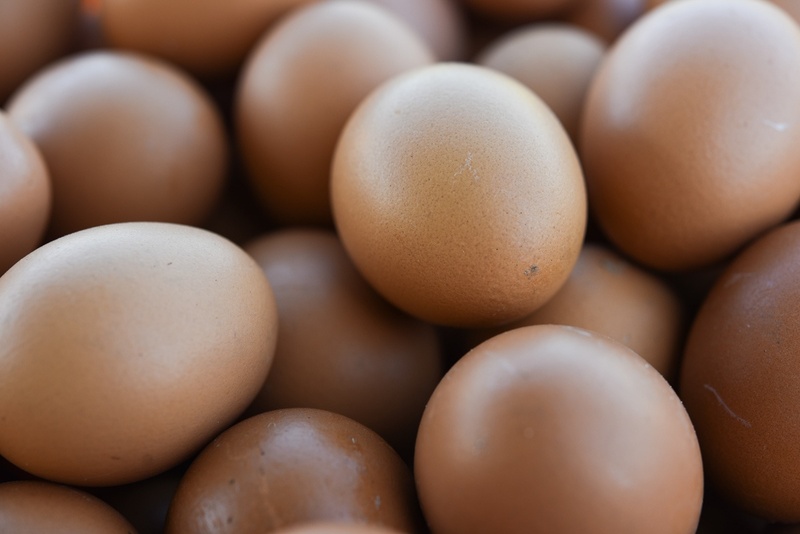 Read on to learn about washed vs. unwashed eggs. 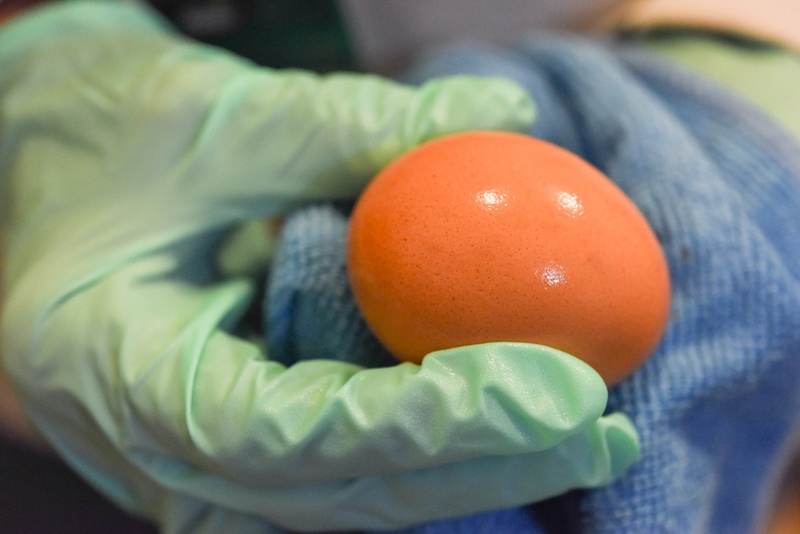 Having an excess of small, jumbo, cracked, or an occasional fertilized egg is not a bad problem to have at White Oak Pastures because we have egg-ceptionally loyal customers to take them off our hands! Personally, I like the big eggs, or “Large Grade A” eggs, as they call them, because I feel like I get my money’s worth. But, with a wide variety of customers, we are able to sell almost all of the eggs that we collect on our farm. Our customers range from mothers to chefs to egg-ecutives and grocery stores to….well, you get the picture. Everyone loves our eggs. Old recipes typically call for large eggs. If you have small eggs, some chefs say the “proper” solution is to measure the weight of the large eggs versus the weight of the small eggs to match the weight, as opposed to using the suggested number of eggs. I’m just gonna guess and hope for the best; which, come to think of it, could be one of the many problems with my cooking. We currently collect over 3,000 eggs in one day. I know, because I have done it. I started out by apologizing to the hens for taking their eggs. I’ve birthed two children and hated to take what they worked so hard for..By the eighth hour, I wasn’t apologizing anymore. I was “shooing” those hens left and right, sweat running down my arms and legs, with a sweaty aching back. THREE THOUSAND…...IN ONE DAY…..BY MYSELF. It was egg-specially therapeutic, recommended by my boss, Jenni, and I don’t regret it. When the hens lay these eggs, they carefully put a protective layer over the shell right before they lay it. This layer is called the “bloom” or the “cuticle”. The bloom seals the 6,000 to 8,000 pores and protects from any bacteria getting inside, but it didn’t protect them from me. 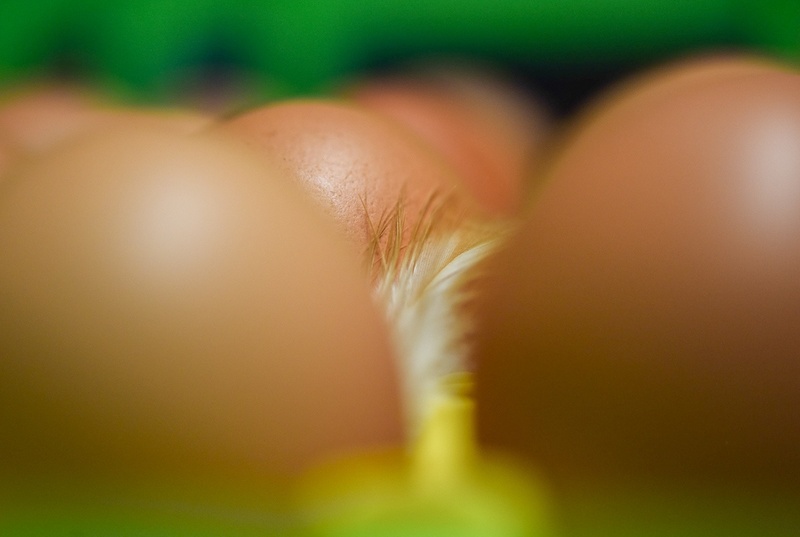 When eggs are washed, it removes the bloom and opens up the pores. This can result in bacteria sneaking through, which is why you must refrigerate washed eggs at a temperature of around 45 degrees. Have you ever noticed your eggs tasting like whatever they were stored near? 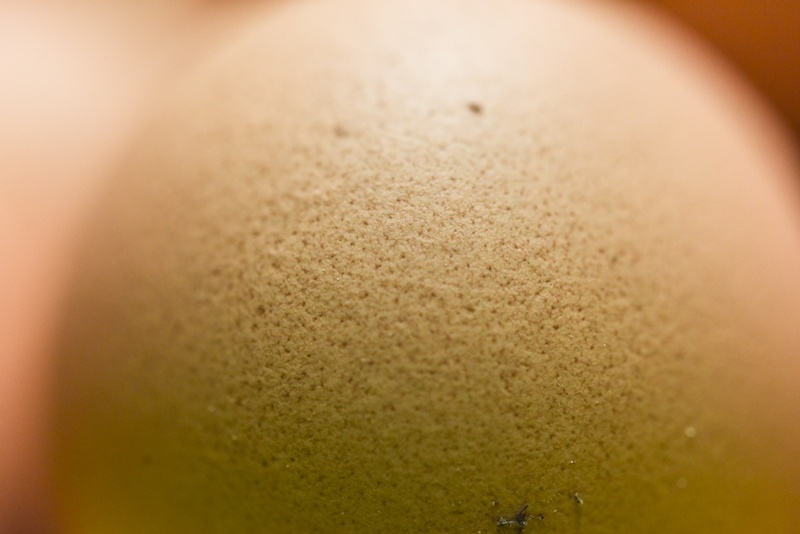 Believe it or not, because of these pores, eggs tend to pick up hints of flavor of whatever they are stored around. We once had a customer call to ask why our eggs tasted like lemons. After much discussion with our production managers, we remained stumped, unable to explain how this could be true. It wasn’t until our chef mentioned this back-of-the-house restaurant trick that we learned how the pores on our eggs really worked. And, the customer was as surprised and we were! If eggs are left unwashed with the bloom intact, you can place them on your kitchen counter and they should be delicious for about 45 days, or even longer! I know it sounds “salmonella-ish”, but it is perfectly safe. I can top that, though...Eggs can be stored unwashed for months, then washed and sold. In fact, the United States is one of the few countries that promotes the washing and refrigerating of eggs. “Looks aren’t everything” explains why some commercially shipped eggs look “shiny and new”, but the taste can not compare with our delicious eggs. I’d look shiny and new, too, if I’d been sprayed with mineral oil! 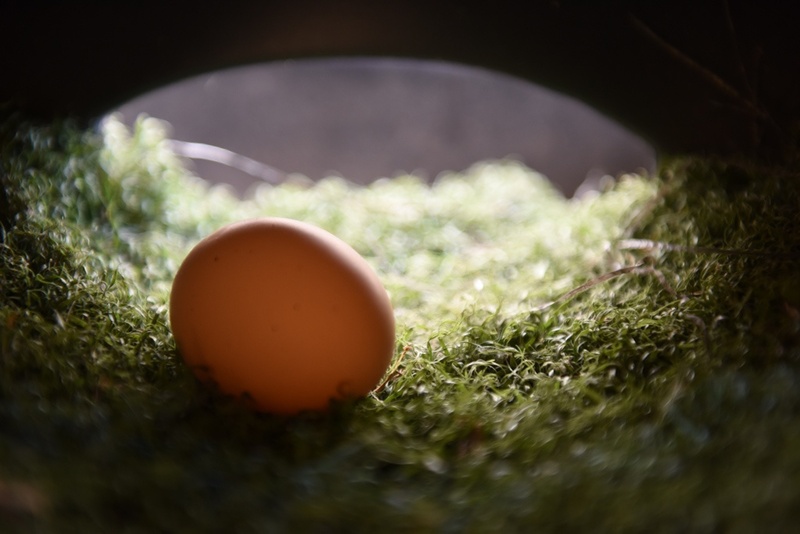 Our eggs are straight from the farm and incredibly fresh! Did I say three thousand? Why, yes, I did. 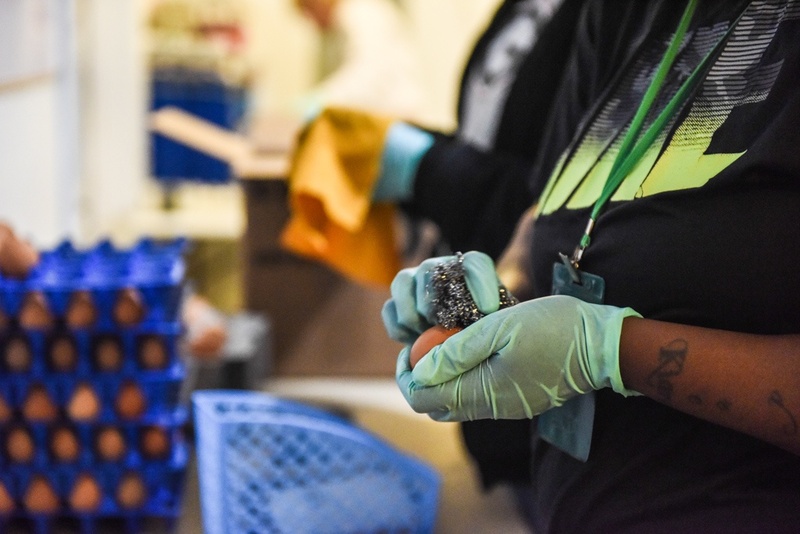 In most cases, our eggs are sold before they are even laid because we don’t have giant warehouses to store inventory. The number of eggs our staff is capable of turning out in a week with such a small “get-up” to do it, is astounding. 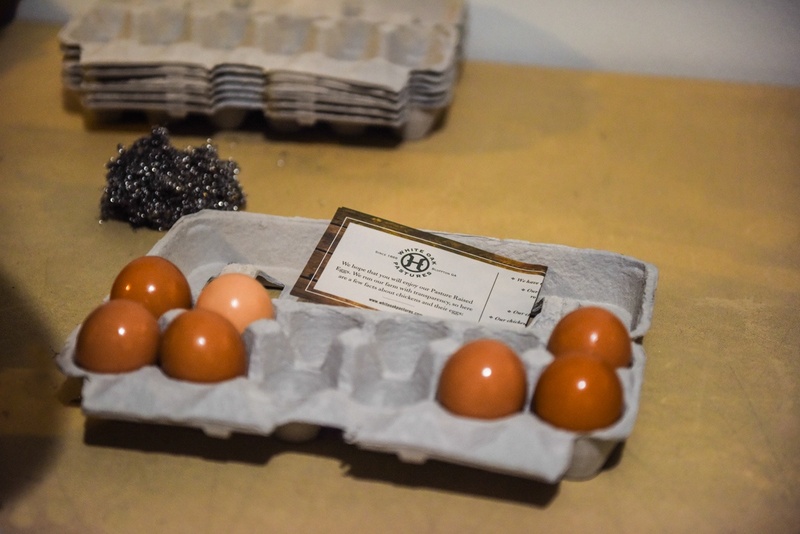 Rest assured, White Oak Pastures’ hens lay the healthiest, most natural eggs on the market! So, come visit our General Store to pick up some fresh eggs, visit your local Whole Foods Market, or order through our online store to have them delivered directly to your door!